The Continental Tire Sports Car Challenge race from Watkins Glen. Commentary from John Hindhaugh and Jeremy Shaw, with Shea Adam and Jim Roller in the pits. Commentary from Watkins Glen comes from John Hindhaugh and Jeremy ..
Coverage of the Continental Tire Sportscar Challenge from Watkins Glen. 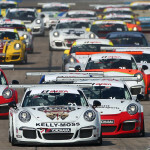 ..
Coverage of the Porsche GT3 Cup Challenge by Yokohama from .. 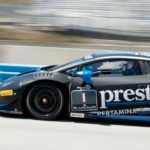 The latest rounds of the series come from Watkins Glen ..
Commentary from John Hindhaugh and Jeremy Shaw, with Jim Roller ..